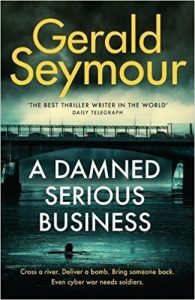 A new cover image for A Damned Serious Business has appeared on Amazon UK. This one features a new font for the author’s name so I guess a cover refresh is happening. Publication is still set for 4 January 2018.